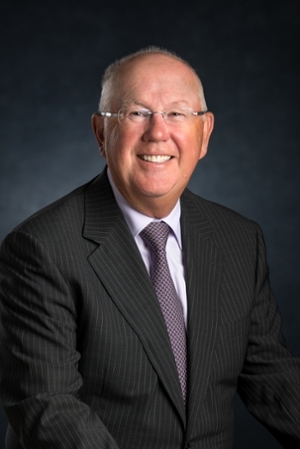 The University of New Brunswick is pleased to announce that Mr. Justice Joseph (Joe) Robertson, a retired justice of the Court of Appeal of New Brunswick, has been appointed Jurist-in-Residence with its law school. Robertson, who also served for a number of years on the Federal Court of Appeal, will serve as a mentor to students and a resource for faculty members. Robertson’s association with the law school stretches back more than 40 years to his days as a student. After graduating with his LL.B. in 1977, he went on to obtain a Masters of Law from the London School of Economics and Political Science the following year. In 1979, he joined the law faculty at UNB as an assistant professor. Within 10 years, he became a full professor. In April, 1992, Justice Robertson was appointed to the Federal Court of Appeal and the following October was named to the Court Martial Appeal Court. In July, 2000, he was appointed to the Court of Appeal of New Brunswick, serving until his retirement last year. With this appointment, he returns to a school where a number of faculty serving today were classmates or colleagues and where he taught more than 1,000 students before being elevated to the bench. “I’m so pleased to see a jurist with such a distinguished career, and such an enduring association with our university, return to the fold,” says UNB President Eddy Campbell, noting that Robertson will also serve as advisor to the faculty on external relations.